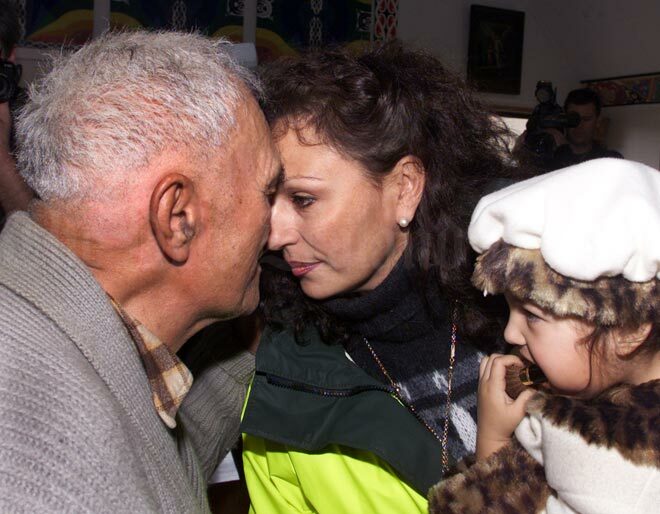 Sandra Lee (later Lee-Vercoe) is shown in 2002, being greeted by her elders on Waiheke Island before announcing her retirement from parliamentary politics. She holds her granddaughter, Omiha Pearl. Lee entered Parliament in 1993 when she became the MP for Auckland Central, representing the Alliance, a coalition of minor parties that included Mana Motuhake. She lost the seat in the following election but served two more terms as an Alliance list MP.